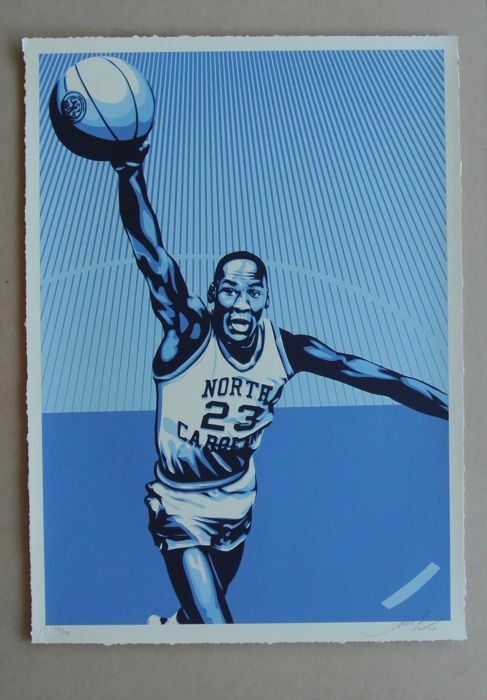 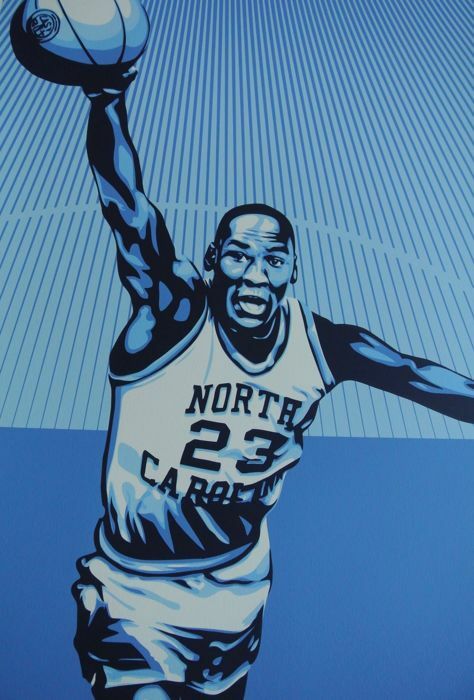 Michael Jordan North Carolina fine art screen print by Shepard Fairey. 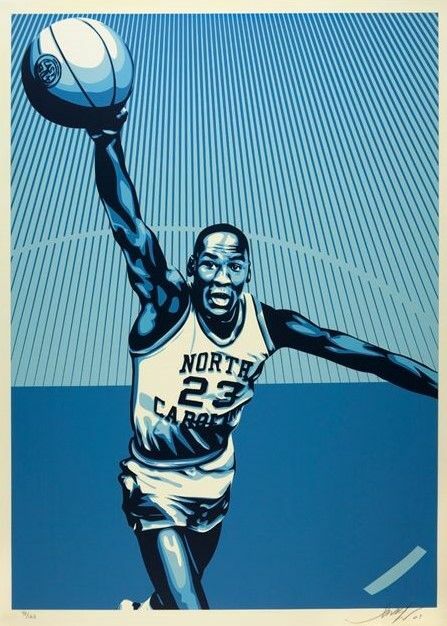 This large format screen print measures 24 x 35 inches and is hand signed by Shepard Fairey. 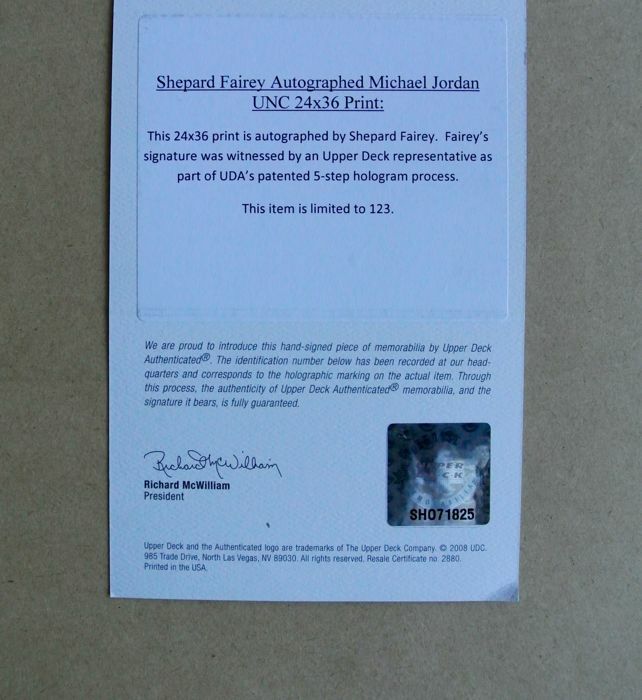 The print is also numbered from a very small edition of 123 prints and includes and Certificate of Authenticity with a serial number that matches the print. 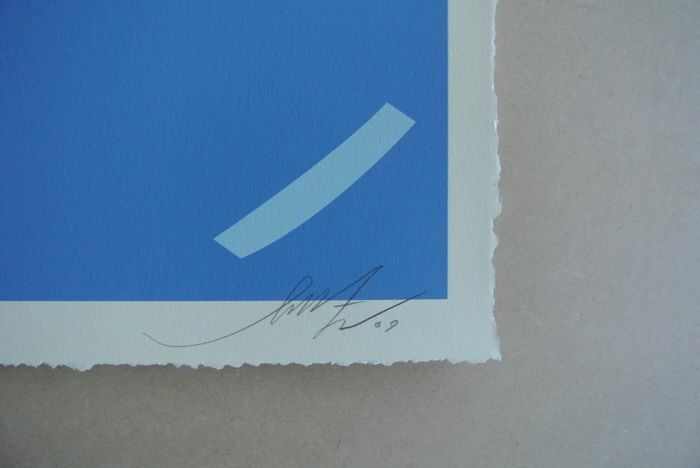 This fine arts print is printed on 100% cotton archival rag with deckled edges. 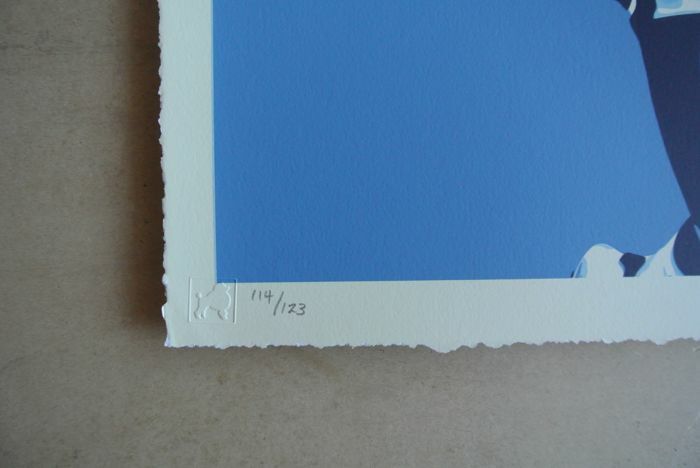 It was printed by master printers Modern Multiples and bears the publishers blind stamp. 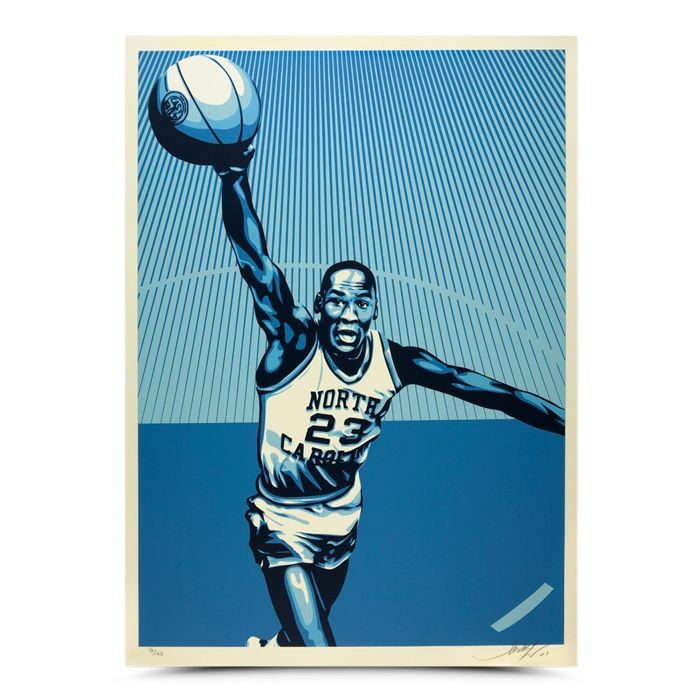 Print will be carefully packed in protective paper and shipped in a sturdy jumbo tube - fully insure with international tracking.